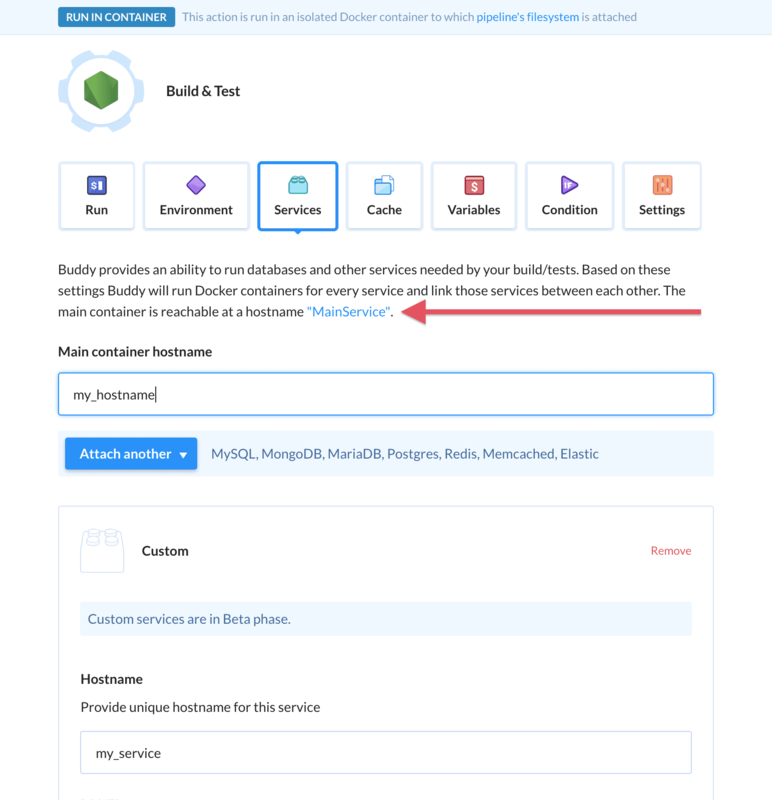 Services in build actions are a very popular feature allowing you to test applications that require, for example, a database or a Selenium driver to run. Three weeks ago we added custom services that enabled tests of microservice applications—a very similar feature to docker compose. 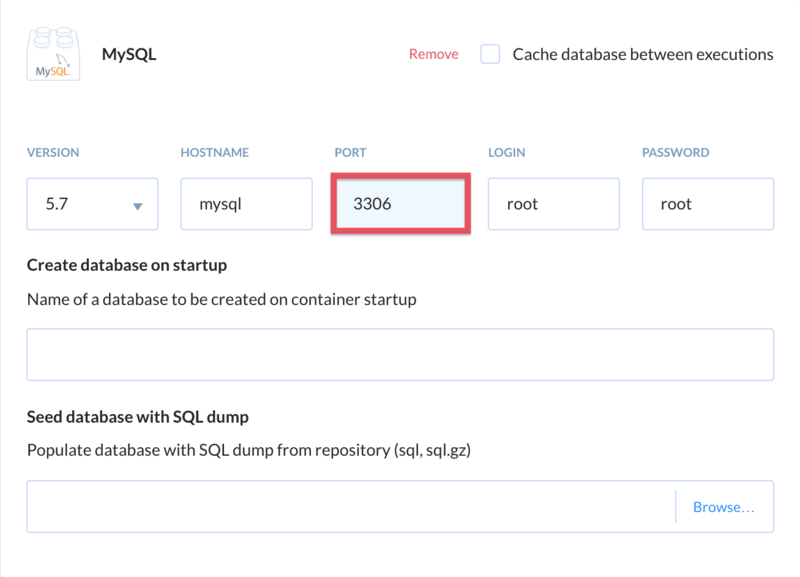 Until now, the communication was limited to one side: you could connect to a database or another service from the container that was triggering the tests, but it was impossible to connect the other way back. We’re happy to announce that connections now work both ways. Scripts defined in a build action are run in a Docker container. 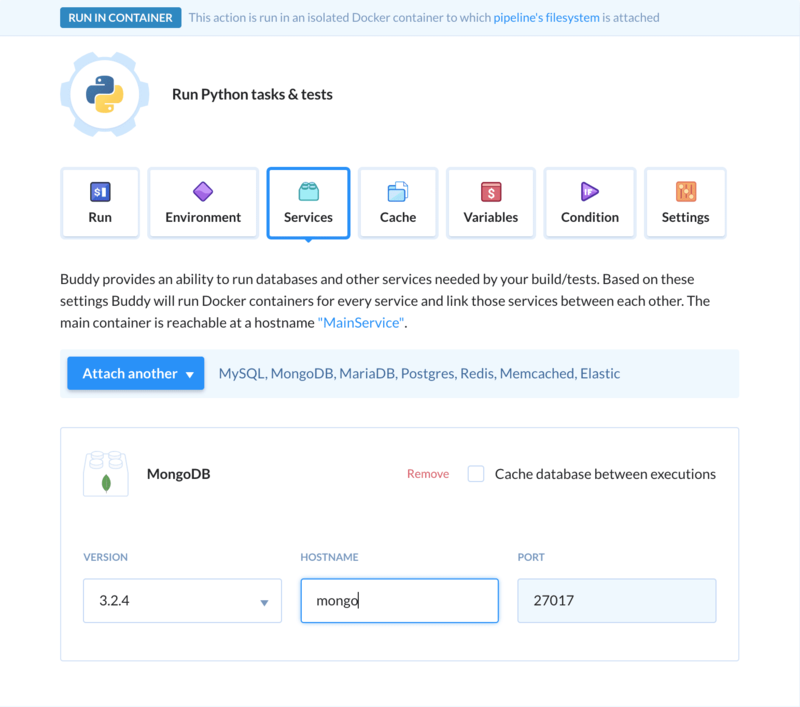 The container is launched on the basis of a Docker image configured in the Environment tab. The ports used for communication between the custom service and the main container should be defined in the Docker image.